Since their launch in the late 1970’s video poker has become one of the mainstays of any casino floor. Offering players the opportunity to enjoy a poker session without all the psychological games that take place at an actual table, they conveniently can also offer among the best odds in the house. That is, of course, if you know what you doing! A few bona fide experts have made a great deal of money thanks to being able to calculate odds with speed and accuracy. But that is not to say that even a casual player cannot considerably increase their chances against the game by making informed mathematical decisions. Don’t worry – most of these are easy to pick up and even better there’s plenty of free software online to help you practice the theory. One good resource that offers all you need to know about practicing video poker would can be found at https://wizardofodds.com/games/video-poker/. Believe it or not, with practice you can actually earn a slight edge over the house – lady luck proving of course! Just on the off chance that you have never played before, here’s a quick rundown on how a ‘typical’ video poker game goes. The player is dealt five cards and then must decide which to discard and which to keep. Cards are then replaced, with the objective being to finish with a winning poker hand (everything from a pair to a Royal flush etc). It is this simple, but calculating which cards to ‘burn’ is clearly absolutely essential. 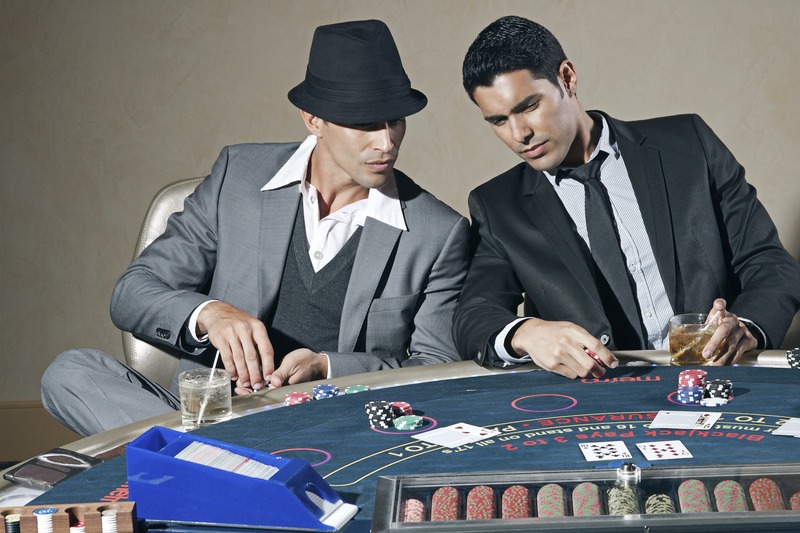 As in most casino games, there are a huge variety of versions that offers better payouts for enhanced investment etc. You can either pay in cash or pick up a prepaid voucher from a cashier that just slides into the machine. Then your gaming session is credited in ‘coins’ and you are ready to roll. Picture yourself on the Vegas Strip. Soak in the sights and sounds, but generally speaking, these super casinos offer the worst player return! This is called their ‘house edge’ which say if a machine pays out at 95%, you will be 5% less likely to win. It may not sound much, but over a session it is enormous and such a scenario would be an example of a terrible video poker machine to play. But, take a stroll a few blocks away to the smaller casinos frequented mostly by locals and you’ll find machines offering 99%+. This means that it is almost a square match between you and the house, which when using proper tactics can, in fact, be forced into your favor. So moral of the story is to shop around for your video poker machine and don’t just dive on the first one you see! There is no such thing as a ‘lucky’ machine. Check the paytable before starting as well. Again, these can vary enormously. Is a machine weighted to pay out big for high ranking hands but barely anything for winning low scores? Or is it the other way around? Find a machine that suits your style. We’ve already touched on this but it is worth mentioning again. The worst way to play video poker is by assuming it is pretty much random like most typical slots. It isn’t, and in fact, you have a chance of determining if you bust out or profit. How can a game that offers among the lowest returns be a player’s favorite? Surely higher payout varieties such as Double Bonus Poker or Deuces Wild are better valued? Wrong! Sure you may lose more hands than you win, that’s a matter of fact, but they have the largest payouts for when you do land a high scoring hand. The trick is to have patience and always bet the maximum. Check their pay spread of course, and make sure you have a good value machine, and just keep at it. It doesn’t matter if you are losing five consecutive hands on a five-coin max. The machine will be begging for you to chicken out and reduce stake, for sooner or later you will land big (probably…). Also, when you do hit a Royal Flush – which is about every 40,000 hands or so – you will have a chance to bonus win but only if your stake is five coins. Wondering which pays chart to opt for? Never anything less than 9/6 and ideally better. This is so important. There is never any need to rush. Take a break whenever needed and all the time you like when mulling over which cards to keep or not. I will promise you that successful video poker players adopt this strategy which performing the mental arithmetic. New players should always take their time and do not let yourself get carried away even after a couple of nice wins. Just as with all gambling activities, expect to lose. Walking away with a win is always a nice feeling, but the casino is ultimately there to make themselves money. So instead of going crazy and burning your bankroll in ten minutes, take your time and enjoy it. Gambling is, after all, a leisure activity. If you are a member of a large regular casino (and this is often offered online too) they will run special clubs that reward players with special jackpot incentives and even loss rebates. Obviously, they set pretty high staking rules to keep you playing more but if that sounds like your style of play give it a consideration. 6) Are Progressive Jackpots For You? There’s often a bit of confusion over what amounts to a progressive jackpot. These are variations of a game that offers a reduced pay board (often terrible value for general play) but with the chance to win big prizes if you hit lucky. When you hear about someone winning seven figures in a casino, chances are it will be on one of these games. Once again – look around because you can find some with decent/fair-ish pay tables. Assuming we’re talking Jacks or Better there’s only one way to play – be bold! Never accept the offer of a kicker because it does nothing to enhance your odds for the next play. The best overall way to maximize your chances is to avoid going for straights and flushes unless dealt a very low-quality hand. High scoring pairs or more are always going to offer the best chance of making a hand. But the best way to become a respectable video poker player is by one system alone – practice. Best of luck and remember – this is a game where you really make your own!